We’ve all pressed flowers, right? Whether folding a few petals between the pages of an old book or preserving wild rose in a “real” flower press, there’s something quintessentially beautiful about the desire to save memories in such a timeless way. 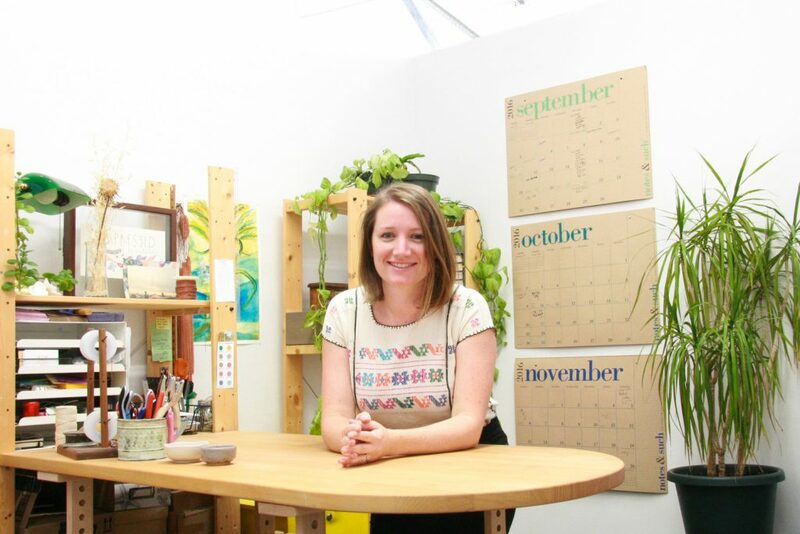 Kyla O’Neill in her Oakland, Calif., studio. At the time, Kyla had taught elementary students for nine years. She loved crafting and working with her hands; she loved flowers and she had pressed them in the past. But she didn’t realize yet that she was an art entrepreneur. “Jewelry design was just a way to highlight the unique shapes of the flowers. I started wearing them and giving away pieces for fun,” she recalls. Then, no surprise, people asked to buy her petal and leaf-themed jewelry. Pressed sage leaves for a pendant-style necklace. 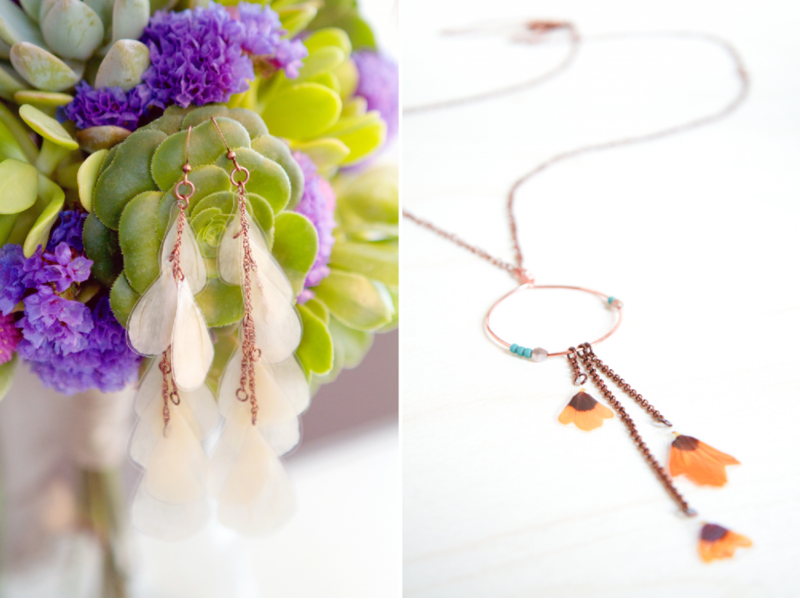 Kyla’s wearable pieces – necklaces and earrings – incorporate brilliantly-hued and more subtly-tinted petals chosen and pressed for their unique shapes and textures. 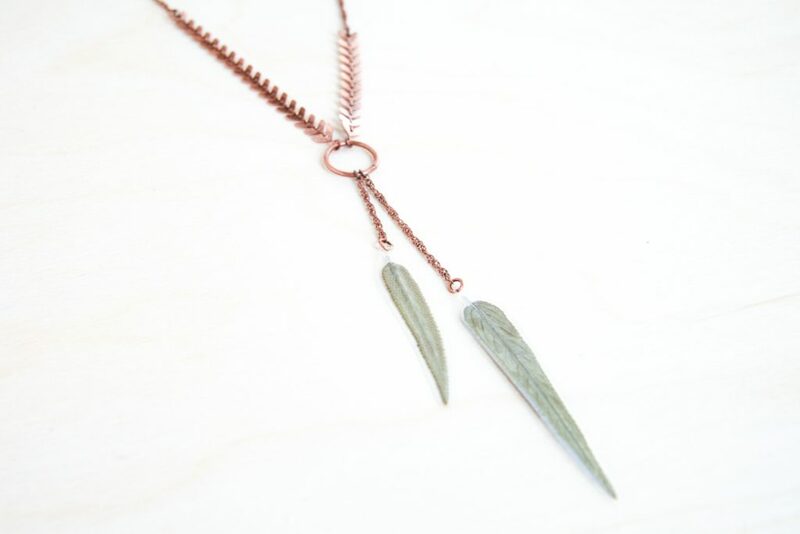 These are beautifully complemented by earthy copper chains, links and wire. Every design begins with a specific floral element. “For me, it’s the shape of the flowers and the way I want them to hang, whether on the ears or around the neck,” Kyla explains. A few years ago, she began to add glass and natural wood beads and unique findings to coordinate with hydrangea, coreopsis, rose, bougainvillea, Queen Anne’s lace, geranium, sunflower, hellebore, daisy, anemone and ranunculus petals, and, of course, the original inspiration, Peruvian lily petals, as well as and leaves of sage, gingko and jacaranda. 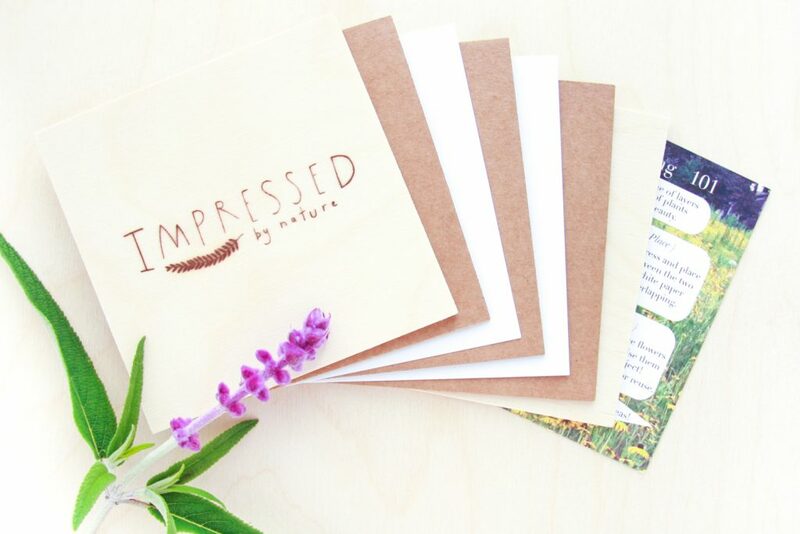 IMPRESSED by nature jewelry is now carried at about 100 stores across the country and via Kyla’s online shop. Pieces range from $28 for earrings and to about $70 for a detailed necklace. Bouquet Preserving Kit for wedding couples. The newest chapter of Kyla’s business caters specifically to couples wishing to preserve wedding flowers. 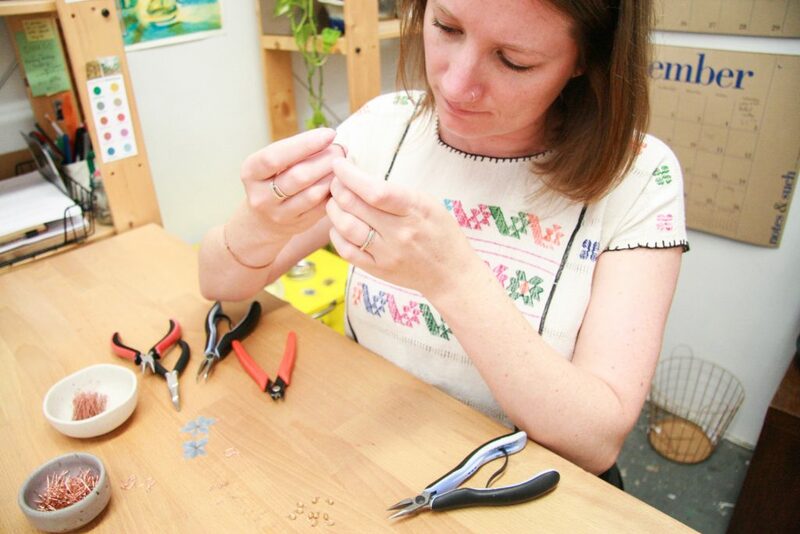 After receiving a custom-orders from brides who wanted unique bridesmaids’ gifts, such as sunflower earrings to coordinate with fresh sunflowers in their bouquets, Kyla began pressing flowers from friends’ wedding bouquets to make and gift floral jewelry for them. That led to the Bouquet Preservation Package. The $95 package includes an 8-by-10-inch flower press with a tutorial and an instructional video. After a ceremony, the couple, or a friend or attendant, presses favorite flowers taken from the bouquet or boutonniere. They send the pressed pieces to Kyla, using special return packaging that comes with the kit. 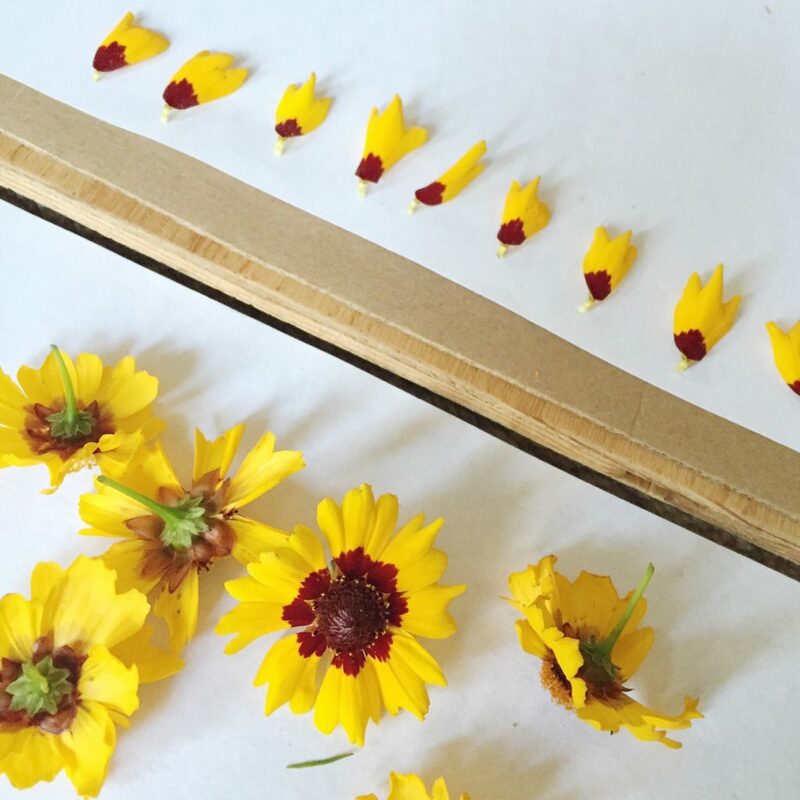 Once she receives it, Kyla preserves the cherished petals and leaves for another four weeks before making jewelry. Those pieces are priced individually, similar to the retail range of her current collections. Some of the custom wedding bouqet jewelry that Kyla has designed. “It’s really fun for me to see what flowers they send me,” she says. “And, I feel fortunate to work in this way with couples. I got married a couple of years ago and I know how long people spend planning their wedding flowers – not to mention the cost, so I’m happy to offer a way to preserve those flowers.” Not to leave out male members of the wedding party, she has begun to offer cufflinks and tie clips with preserved flowers. 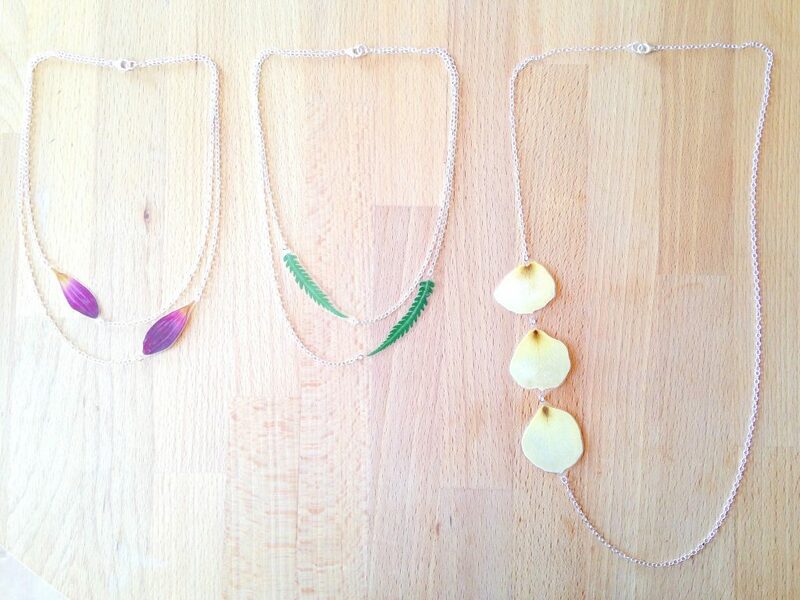 Ever the teacher, Kyla believes that her pressed petal jewelry helps people reconnect with nature, which is apparent in the business name, IMPRESSED by nature. 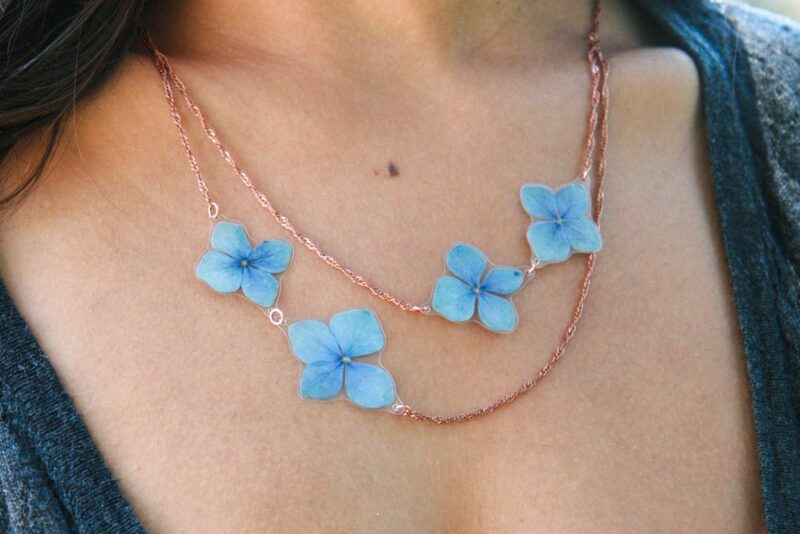 Tiny petals turned into jewelry keepsakes. Kyla wanted to turn petals into jewelry but she found that sandwiching the botanical pieces between glass or resin was too heavy and bulky. Instead, Kyla developed a lightweight alternative that preserves leaves and petals by heat-sealing them between two sheets of plastic. 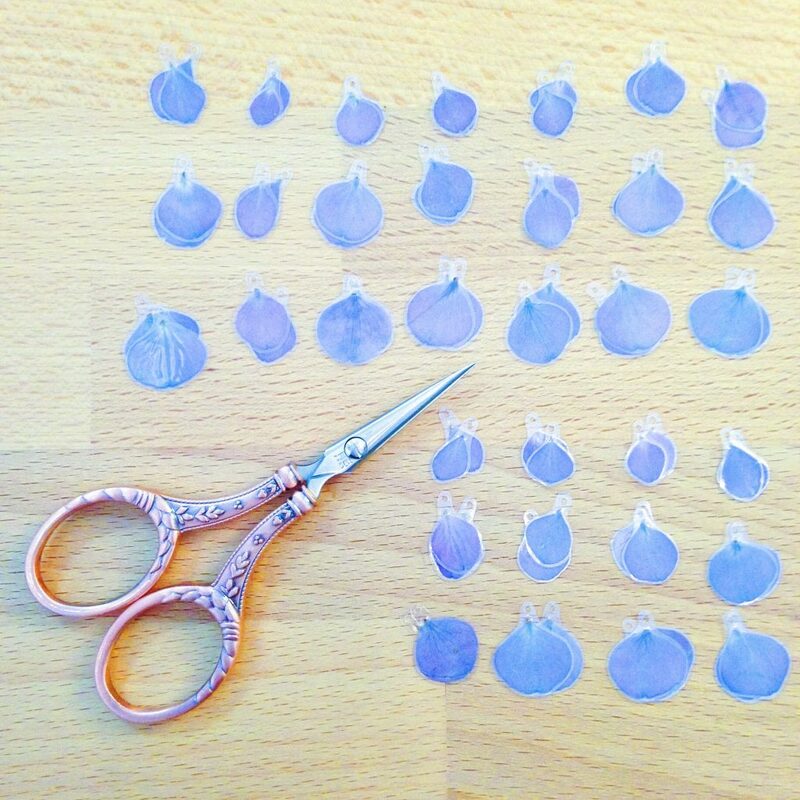 The tiny shapes have been pressed and dried for at least four weeks prior to this step, so all the moisture has evaporated. “It’s similar to laminating paper,” she points out. Kyla trims away the excess plastic, leaving a perfectly preserved petal, one that closely satisfies her initial desire to hang a Peruvian lily petal from her ear. 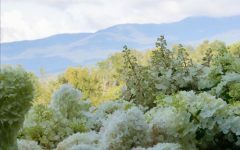 She creates two collections each year, closely respecting the seasons and what the garden provides in terms of raw material. 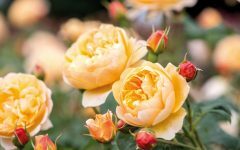 “I harvest my flowers seasonally, so if I run out of a particular variety, I have to wait until it’s back in season,” she says. “Some of the flowers come from my garden in Oakland; some come from my friends’ and neighbors’ gardens. 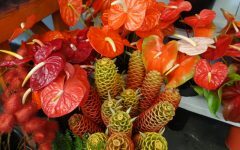 I have certain folks who grow the same plants every year for me.” The San Francisco Flower Mart is another resource, especially when Kyla can buy direct from farm vendors. Learn more about her process and sustainable practices. Pressed sage leaves reveal nature’s one-of-a-kind diversity.